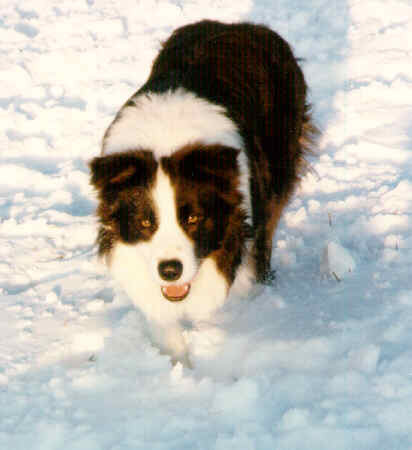 DKCH Auldbrig Wild Blu Yonda, is a blue/white male born on 6 of March 1994. 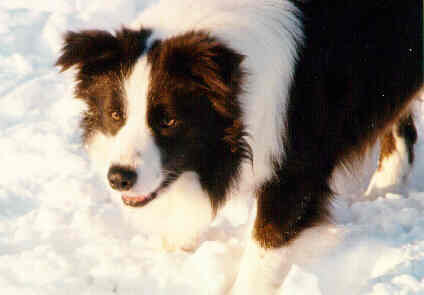 Yonda's great-grandfather is the father of the Border Collie litter in the movie 'Babe', which featured lots of Border Collies. At the show in Rønne on 7. 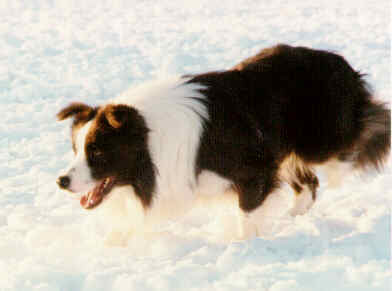 Juli 1996 Yonda achieved the title of Danish Champion (DKCH), as the first blue/white Border Collie in the world. His greatest passion is herding sheep. Watch him giving 'the eye of control' in these pictures. Pedigree of DKCH, Auldbrig Wild Blu Yonda "Yonda"
Accessed times since May 1996.